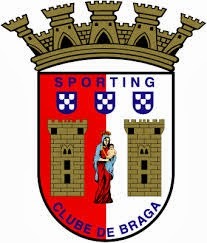 The weekend's first fixture pitted the Minho rivals - Sporting de Braga and Vitória de Guimarães - for a rather entertaining match, as is usually the case. After Braga's resounding win, let us take a closer look at some of the action. The days before the match revolved mainly around Ruben Micael's absence from the side and how coach Jesualdo Ferreira would deal with it. Those who watched the match were able to witness one of the Guerreiros' best matches of the season so far as a response. With a now seemingly more established 4x3x3, the team seem more evenly balanced and therefore less inclined to shoot themselves in the foot. Custódio offered the defensive solidity, Luiz Carlos provided coverage while defending and a constant out-ball, while Alan was afforded the liberty to sprinkle his fairy dust virtually all over the place, largely due to Guimarães' approach (more on that later). Jesualdo's men dominated the middle of the park right from the start, with their three-man midfield duly helped by wingers Rafa and Pardo. The team were collectively aggressive and more in tune with Jesualdo's familiar principles, perhaps a tad more possession-based than usual. Their ability to control the centre and to shift the ball quickly to the flanks for dangerous crosses and penetrations from Rafa and Pardo is not to be underestimated. However, there might be some cause for concern in the future, in this reporter's humble opinion. Custódio does not seem to be the perfect fit for this particular formation. While there remain no doubts that he's more than capable of doing the gritty work, he does not have some of the other traits for the role. The Portuguese international has been used to play in a two-man central midfield (usually with Hugo Viana as his sidekick) and struggles physically with the sole holding midfielder role, particularly due to his lack of speed. Also, the fact that he is not the most technically gifted player means he regularly takes a couple of touches too many on the ball, making him ill-suited for the pivotal role of this particular position. On the other hand, Alan's game last night constitutes clear proof that the side are missing a more cerebral player in midfield. Still, there won't be that many times when Alan is allowed to dictate the tempo and Ruben Micael has shown time and again that he is not the best bet for a typical 4x3x3. The parallelism had never struck me before - until today. While doing some research for a piece on English football, I read something about David Moyes' struggles at Manchester United and his inability to successfully transition into a more storied team. The piece mentioned - to paraphrase - that good managers acknowledged their team's limits and tried to work within them as best they could. Great managers refuse such limits and make their players believe they're capable of doing greater things. Every time I watch Rui Vitória's Guimarães Uin stark contrast to Marco Silva's Estoril) I'm left with that same impression: His side are obviously capable of grinding out results (as stated by their standing in the league table), but they offer precious little when there's the need to build something. Last night was no different. A team that included André Santos, Barrientos and Marco Matias was unable to create anything noteworthy, instead receding to an expectant, reactive approach. Rui Vitória's instructions for André Santos to man-mark Luiz Carlos and deployment of André André off Tomané and Barrientos on the left was baffling, to say the least. André André, while hard-working, is clearly unsuited for such a role due to his technical limitation. Barrientos, in turn, is no work horse - which makes one wonder why his coach would place him on the left wing of a 4x2x3x1, thus demanding him to run up and down the wing. The two half-time substitutions did not offer anything new and Guimarães' attempts at building up anything from scratch led to gaping holes all over the place. 3. Rafa is the real deal. Is Rusescu? Sometimes I find myself wondering what is going on inside the minds of the three Portuguese grandes' directors and coaches. Maybe holding a Portuguese passport is indeed harmful to your career prospects, as the saying goes among Portuguese players. If Rafa were Uruguayan or Colombian, for instance, would he have already been picked up by FC Porto or Benfica, for instance? Despite his young age, he is clearly a top-notch player. Last night's match proved once again that he is no one-trick pony, single-handedly piercing Guimarães' defence or providing pin-point crosses in Rusecu's direction. More importantly, he seems to have an impressive understanding of the game for a player of his age and generally takes the best decisions - one of the most important features in today's football. If no grande comes to grab him soon enough, he will surely be heading abroad sooner rather than later. As for Rusescu, his credentials were indeed promising, but such considerations should always be taken with a pinch of salt when they're based on youth tournaments, as is the case in point. It's admittedly premature to read too much into a single match, even if it yielded two goals. Even though that was an important aspect, he impressed mostly through his link-up play and, like Rafa, through the understanding of when to progress, to keep it simple, to play a team-mate it or have a go himself. It's unlikely that he will enjoy the same freedoms Guimarães allowed him at the Quarry, but the fact that he was able to make the most of it bodes well for his near future. I m wondering how Pardo can be effective on the team. I found him with lots of skills, and capable of doing much more. It seems to me that he has been stepping more central areas rather than wing areas more often. Do you agree? In my opinion, Pardo has all the physical traits (sprinting, impressive strength, good change of pace) to be a great winger, but his decision-making process does not help him a great deal. I agree with you that one of the things Jesualdo Ferreira is doing is helping him become more dangerous by stepping into more central areas, instead of just hugging the touch line and providing crosses - which, in my view, is far better for both the team and the player. If he manages to improve his judgement, his potential will surely be even greater.